CHP generates electricity whilst also capturing usable heat that is produced in this process. This contrasts with conventional ways of generating electricity where vast amounts of heat is simply wasted. In today’s coal and gas fired power stations, up to two thirds of the overall energy consumed is lost in this way, often seen as a cloud of steam rising from cooling towers. 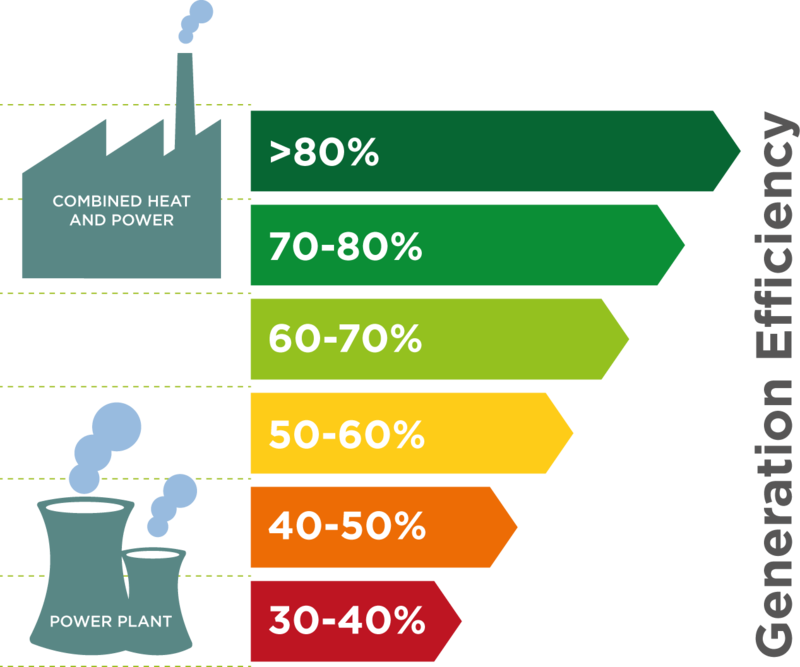 By using waste heat, CHP plants can reach efficiency ratings in excess of 80%. 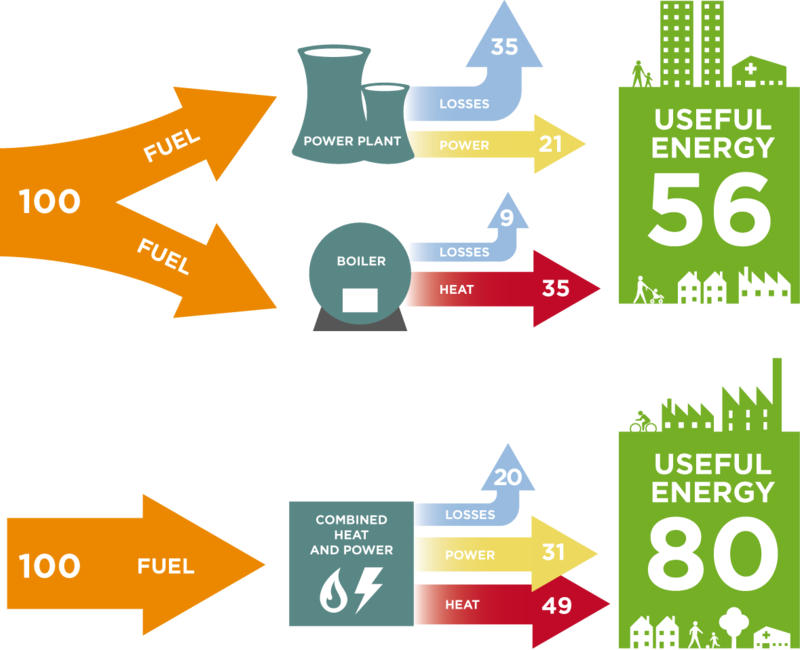 This compares with the efficiency of gas power stations, which in the UK which range between 49% and 52%. Coal-fired plant fare less well with an efficiency of around 38%. As an energy generation process, CHP is fuel neutral. 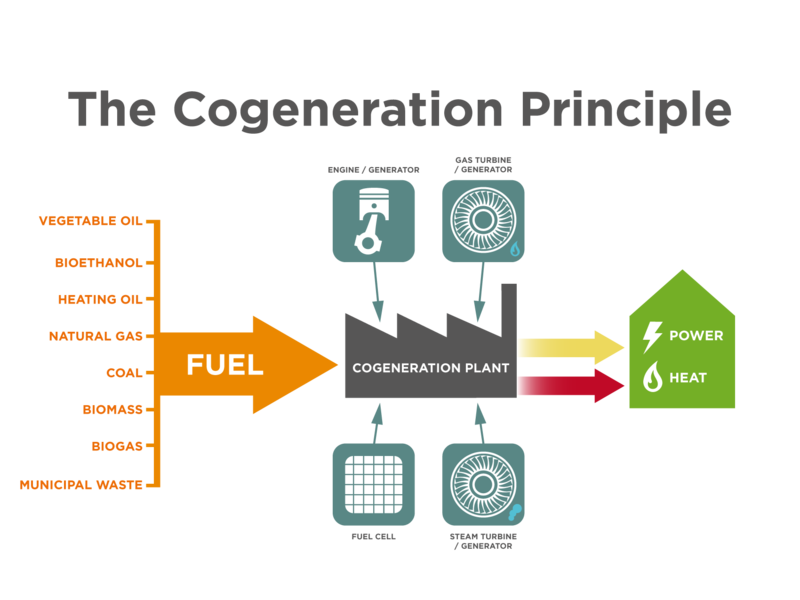 This means that a CHP process can be applied to both renewable and fossil fuels. The specific technologies employed, and the efficiencies they achieve will vary, but in every situation CHP offers the capability to make more efficient and effective use of valuable primary energy resources. CHP plants provide local heat, electricity and sometimes even cooling to various types of users. Because the energy is produced locally, CHP has the added benefit of avoiding efficiency losses incurred through transmission and distribution of electricity through the National Grid and local distribution networks. Around 7% of energy would usually be lost when the network is used to transport energy from the generation source to the user. When taking account of these losses, the respective efficiencies of both coal and CCGT plant fall further at the point of use. Read more about the benefits of choosing CHP.